Dr George Kouretzis and his colleagues work towards bridging the gap between research, engineering applications and public benefit, particularly in the area of onshore pipeline networks, the circulatory lifelines of modern society. Motivated by the challenges he faced during his involvement in the design of buried pipelines in problematic areas, Kouretzis' research focuses on increased safety levels and uninterrupted operation of pipeline infrastructure, from mega gas pipelines to local water distribution networks. Kouretzis and his group examine the behaviour of pipelines crossing soil deposits that are sensitive to environmental and climate change effects, areas susceptible to mine subsidence, or zones of high seismicity. They also investigate the impact of new developments on existing networks, and the detrimental effects that an accidental blast or a terrorist attack may have on a critical lifeline. The goal of all these studies is the same: to understand how onshore pipeline infrastructure will perform under the influence of these natural or anthropogenic hazards, under which circumstances there is a significant risk of failure, and which measures practicing engineers must take to mitigate the probability and the consequences of this failure. The outcome of these studies is a compilation of practical design tools, charts and simple computer codes that can be readily used by pipeline engineers in their current and future projects. Kouretzis has collaborated with a number of consulting companies in implementing the findings of this research in critical projects, such as the design of high-pressure natural gas pipelines crossing active seismic faults. New construction techniques have been adopted from the insight gained on pipeline behaviour, and these tools are now endorsed by international guidelines on the design of buried pipelines, superseding earlier methods proposed in the 70s and 80s. Recently, the Australian Research Council awarded a grant to a team to be led by Kouretzis to further delve into the effects of environmental changes on onshore pipelines, with a particular focus on Australian conditions. This 3-year project commencing in 2015 will include the development of a custom-built laboratory apparatus to investigate how buried pipelines interact with their surrounding soil. The team is collaborating with a number of international groups working in the same field, and their long-term aim is to create a national buried pipeline research hub at the University of Newcastle. Kouretzis obtained a Diploma in Civil Engineering from the Democritus University of Thrace, Greece, and received his MSc and PhD from the School of Civil Engineering of the National Technical University of Athens (NTUA), Greece, in 2005. In the following years, he continued his engagement with NTUA's School of Civil Engineering, first as a post-doctoral researcher and later as a part-time lecturer. After a four-year period where he was primarily engaged with industry-related activities, George joined the University of Newcastle and the Centre of Excellence for Geotechnical Science and Engineering 2012 and currently holds a senior lecturer position in the School of Engineering. In parallel with his research on buried pipelines, Kouretzis is working on various problems in the areas of soil-structure interaction, computational geomechanics, geotechnical earthquake engineering and soft soil testing techniques. He has published over 35 papers in monographs, refereed journals and peer-reviewed conference proceedings on the analysis of buried pipelines affected by geohazards, the aseismic design of tunnels and the numerical simulation of large deformation problems in geomechanics. His research has attracted substantial funding from government as well as industry sources, and he has been involved in several projects as project leader and chief investigator. Kouretzis also serves as associate editor of Canadian Geotechnical Journal and as guest editor of Australian Geomechanics. He is also an active reviewer for a number of international journals, and member of the review panel of international funding bodies. Parallel to his academic activities, since 2000 Dr Kouretzis has been involved as an expert engineering consultant in a series of major energy and transportation infrastructure projects, including high- and medium-pressure natural gas and crude oil pipeline networks, bridges and motorway tunnels in areas of high seismicity, critical runway embankments etc. 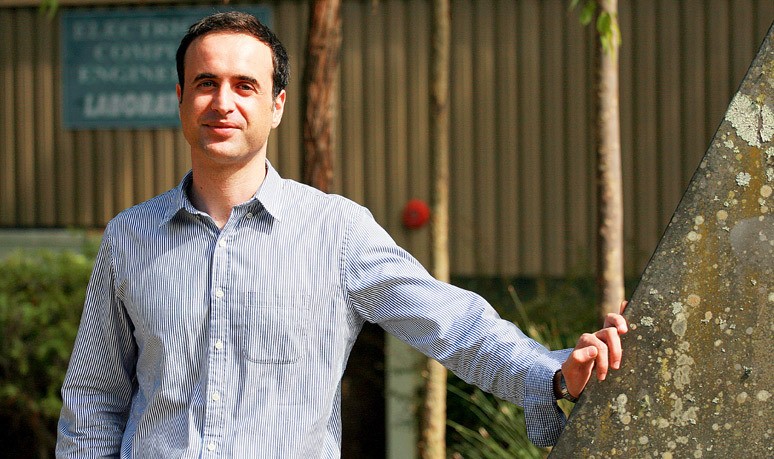 He is also an active member of the Australian Geomechanics Society, and currently serves as secretary of its NSW-Newcastle Chapter.Finally, Kouretzis is the recipient of a number of awards for research and teaching excellence from organisations including the International Association for Computer Methods and Advances in Geomechanics and the Australian Association of Computational Mechanics.